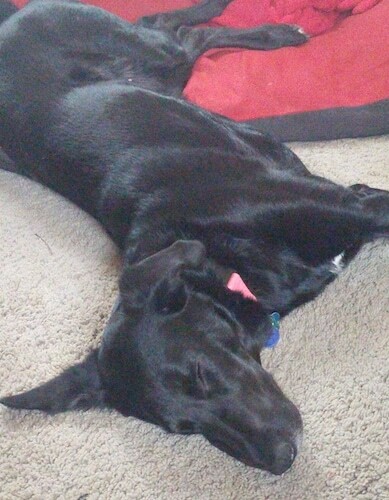 Bailey the Black Labrador / Greyhound mix at 1 year old—"Bailey is very energetic and loves to run. 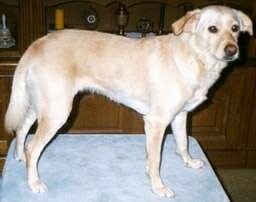 She is a great family dog, protective, very obedient and is a fast learner. We adopted her from a family that was moving. 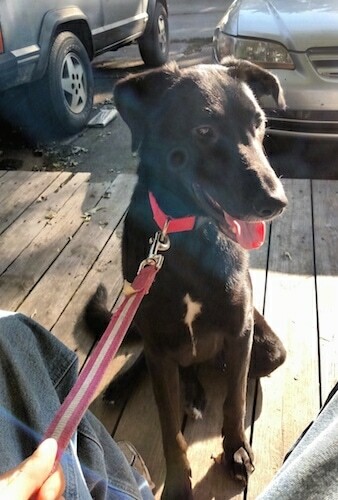 Our vet confirmed that she is a mix between Greyhound and Black Lab. She has the body, speed, and energy of a Greyhound, with the high degree of intelligence of a Lab." The Greyador is not a purebred dog. It is a cross between the Greyhound and the Labrador Retriever. The best way to determine the temperament of a mixed breed is to look up all breeds in the cross and know you can get any combination of any of the characteristics found in either breed. Not all of these designer hybrid dogs being bred are 50% purebred to 50% purebred. It is very common for breeders to breed multi-generation crosses. 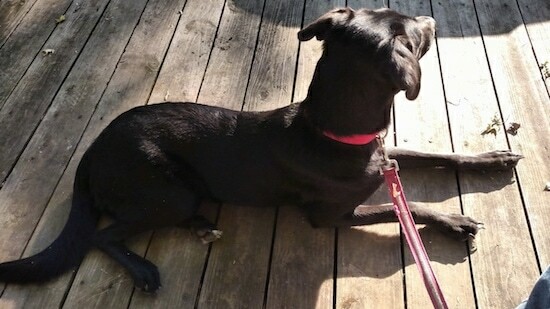 This is Goldie, a Greyhound / Lab cross.